An idea becomes reality – customised solutions tailored to your requirements! 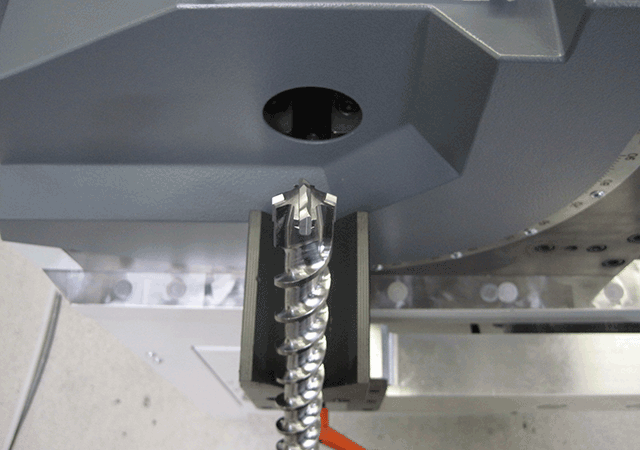 The Schuster 'Helix' helical groove milling machine comprises three construction sizes with one or two spindles for diameters of up to 50mm and lengths of up to 1,350mm. 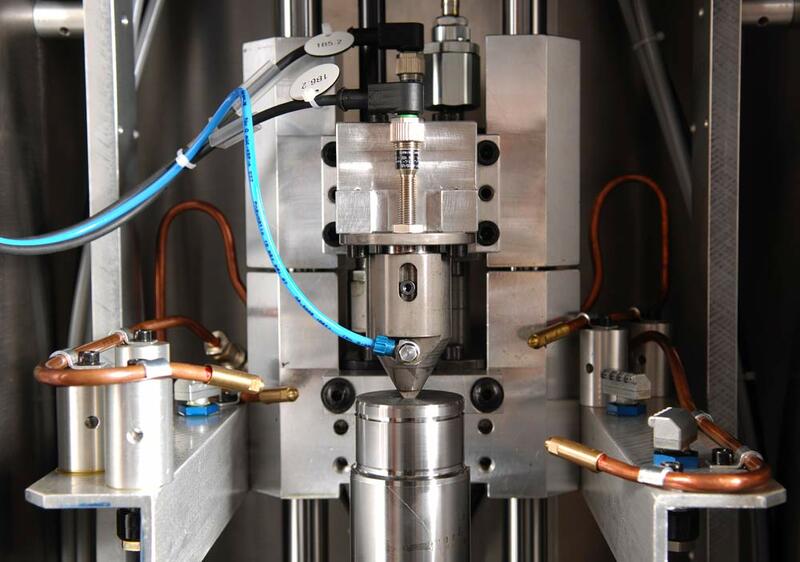 Compared with standard solutions, this procedure offers considerable benefits in terms of process speed and helix angle (compared to spinning) or hard machining and contour variability (compared to rolling). Manual loading machine – for safe and easy assembly of rock drills. 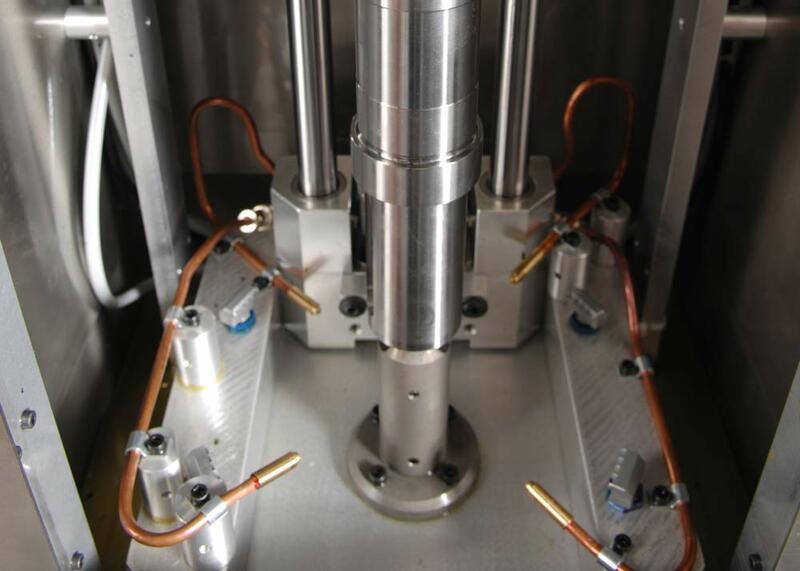 The heart of the finished, grooved rock drill is applied in the manual loading machine stage – this is the carbide cutter. Due to the large dimensions of the rock drill and the small lot size involved, this work sequence – assembling the carbide cutters – is performed with the aid of a special machine. This tailor-made solution means that a manual workplace is both rational and ergonomic, i.e. there is no bottleneck in small work sequences and quality and safety remain at a uniformly high level. The process of tumbling results in the smoothing and hardening of a metallic surface without chip removal, using rollers. Tumbling is a very fine machining process that subjects the edge layers of the component to plastic (permanent) deformation. Moreover, it is the only non-cutting production procedure which is able to achieve surfaces of this form. Tumbling involves the use of one or several rollers onto which a force (tumbling force) is applied perpendicularly to the running surface. The shaft-cleaning unit is an integral part of our transfer line. Thanks to the controlled air blast and subsequent conservation (oil mist), the components are transported to the sleeve unit in virtually installation-ready condition. 6 psi pressure air with oil-spray-mist conservator. 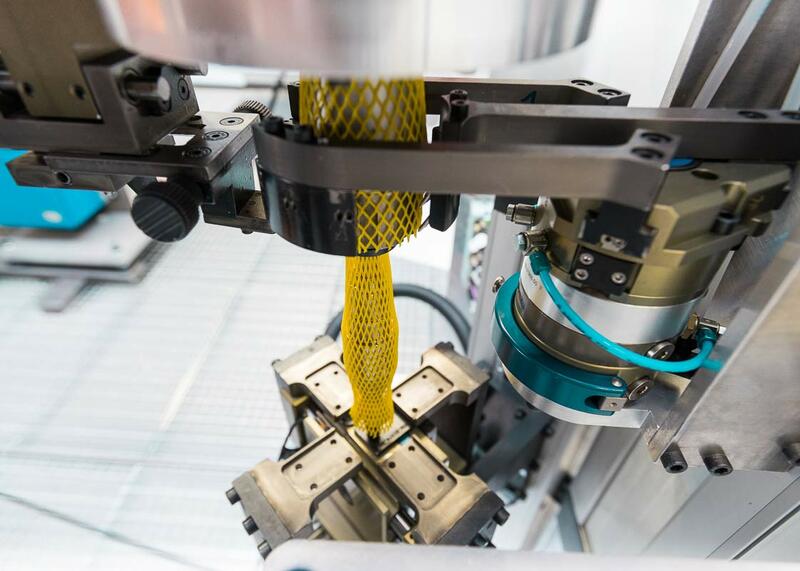 Fully automatic sleeve unit for surface protection nets with automatic length adjustment of the protection net - always suitable for your component worth protecting! The "sleeve unit" is an autonomous special machine as an intermediate or last link in your value-added chain. 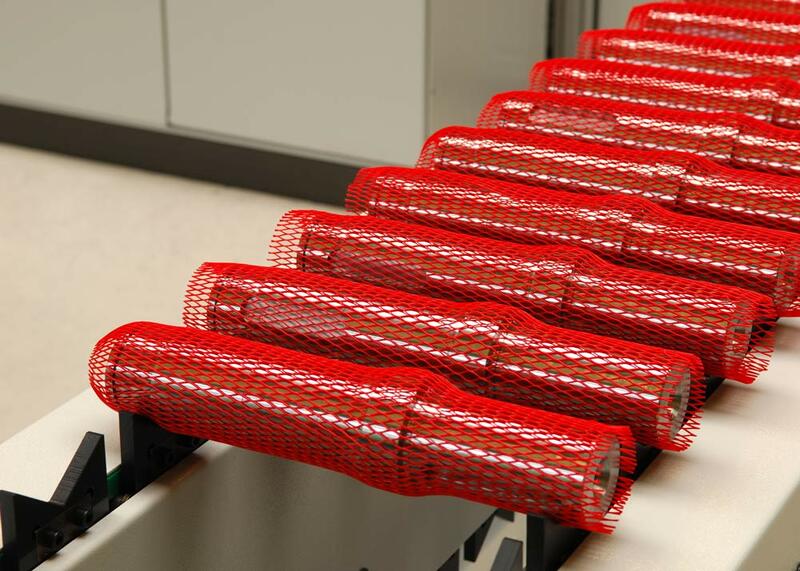 A surface protection net protects your sensitive, wave-shaped components from damage. 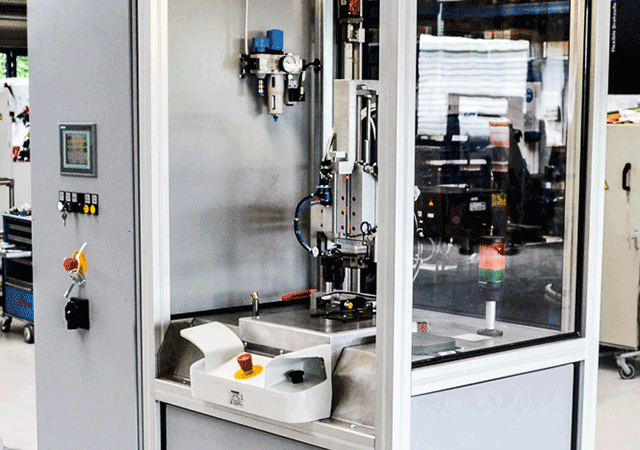 By automating this operation, your machine operator has time for other tasks with a higher added value. Since many components are preserved directly before the protective net is installed, you also save your employees the trouble of coming into contact with hazardous substances and vapours. 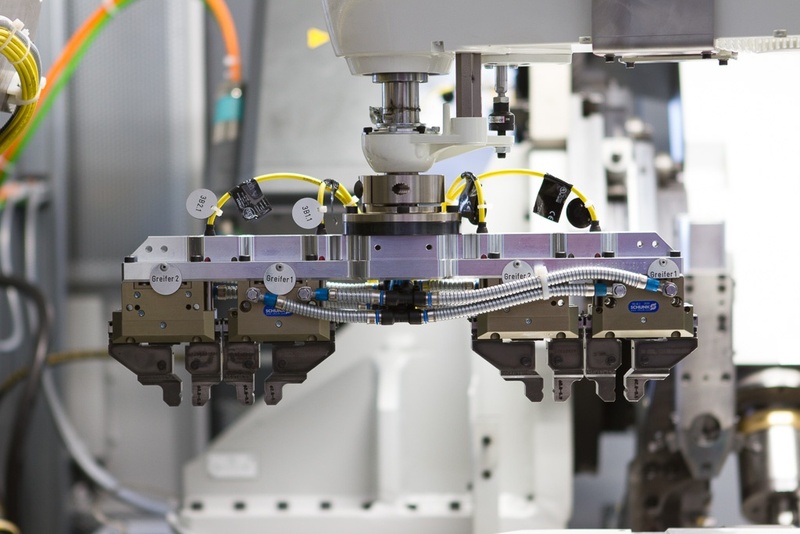 The winding units from Schuster Maschinenbau are available as "stand alone" or as fully integrated, robot-supported units. 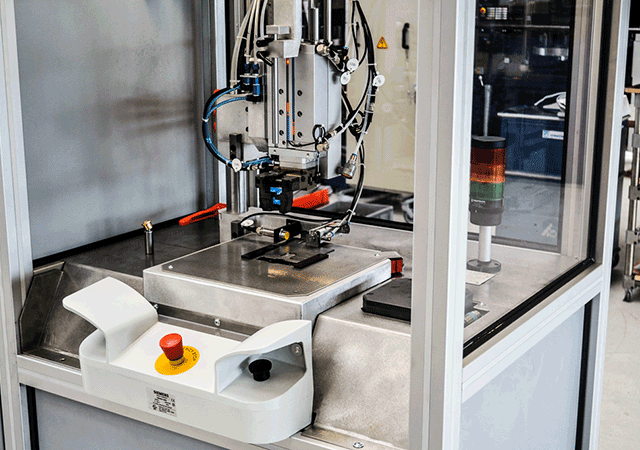 A further advantage of the robot-assisted sleeve unit is that it does not require any additional buffers or manpower. As a result, nothing can now stand in the way of lean production. 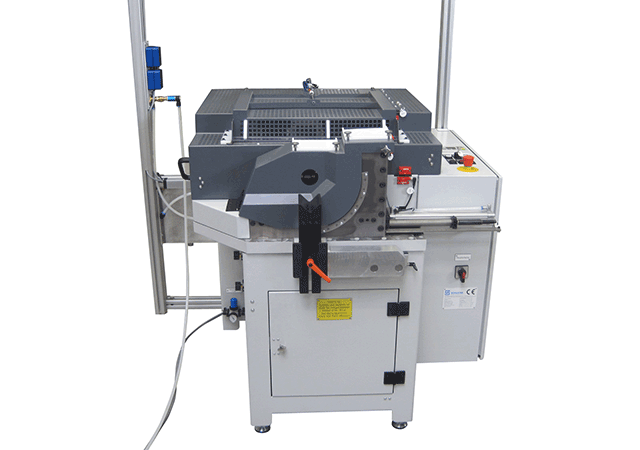 Do you have any questions regarding our custom machines? Simply fill in the form. One of our specialists will get in contact with you and will give you competent advice.